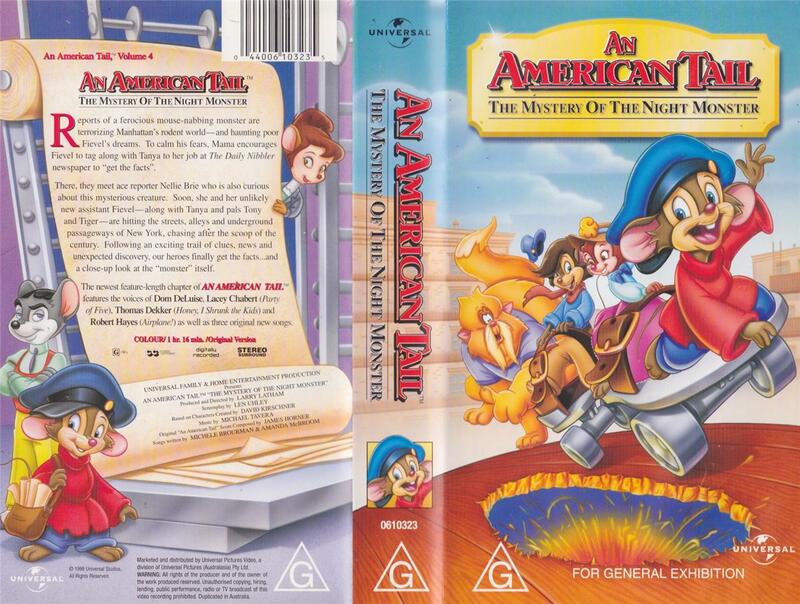 An American Tail Four was made shortly after the third one with the same cast, except for Mama’s Mousekewitz’s actor, the same writer and director. It takes place after the third film and… Why is this an American Tail film? Fievel is really out of character, and most of the other important things are done by a new character, Nellie Brie. It has little to no talk of America. I think this makes more sense as a Chipmunks movie or something new. Unlike the other films in the franchise I actually have a tad of nostalgia for this, since I saw the beginning until “Get the facts” on TV, and like Fievel’s American Tails I had no interest in more. In fact it is why I did not borrow the first one from Blockbuter when mom asked if I wanted to see it. My target demographic mind found this opening nightmare scene dull. Well it begins with a not scary nightmare, with a thankfully good score from Michael Tavera. Basically Fievel is a coward in this film, and that is one reason why being An American Tail film was a mistake. At least Dekker is much better at this out of character Fievel than he was last film. In the morning Papa talks about how great a reporter (Nellie Brie) is, and Fievel wonders how brave she is. All Fievel has done after all is defeat a corrupt police chief, keep a clear head amidst booby traps in order to solve them, which these same people made a movie about. Not to mention every thing he did in the first film. Since Tanya works at the newspaper office Mama demands she takes Fievel to wok so Nellie Brie can convince him there is no monster. She must do it as Tony got her the job (Tony is later established as being a nobody there), and Tony is Fievel’s friend. Did the makers pay attention to the third film where he eats with the entire family? The next few parts at least have some really good mouse world parts like them using a mail chute as a train, and I enjoy those. It also has some music from the seventh The Land Before Time film, but getting to work takes up way too much of a seventy-five minute film. Fievel briefly meets Nellie Brie due to some more out of character cowardice, which does not really affect the story anyway. They meet Tanya’s boss whose contributions to the plot are also completely unimportant besides assigning Brie to work with Fievel, because he wants to bug her, renaming Fievel “Rembrandt,” and making headlines that make the whole town scared, since apparently everyone is seeing the night monster. After that the boss repeatedly shows up for useless scenes that go nowhere. This leads to Tony and Tiger trying to sell papers, Fievel is wondering why he got a new name in three out of four movies, Tanya is now always super embarrassed, and hordes of extras working at the sweatshop in Three are now working at the newspaper, so I guess the strike did not work so well, and Brie seems to love insulting people. Also the mice built a wall that successfully keeps the cats out. 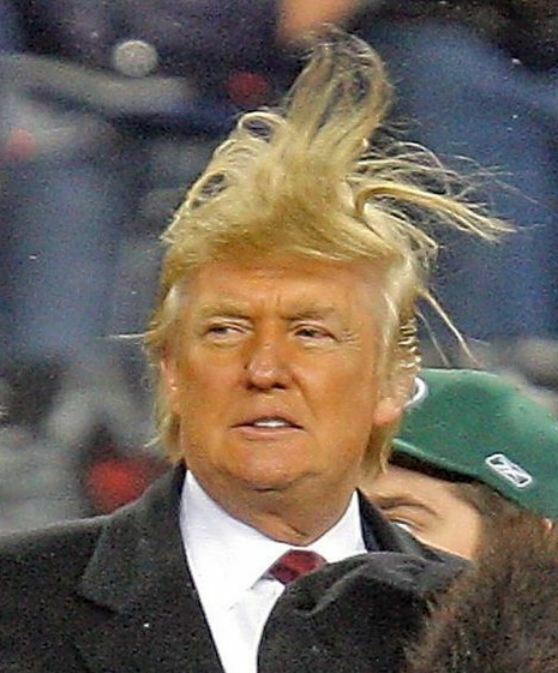 I plan for that to be y first and last Trump joke. Brie sings to Fievel “Get the facts.” She is voiced by Susan Boyd known for her singing and for acting… She has no acting experience except for extras, and she almost always sounds the same. Dekker is outperforming her big time. The writer Len Uhley also wrote The Land Before Time 7 and he takes many shots at this film there, so I think that supports my theory that this was not a fun film to make. The song keeps saying that knowing details about something makes it less scary, but based on my study of demos that is really false. Also the song is bad, and repeats the main lyrics way too much. This is contradicted with “Beyond the Mysterious Beyond” where they instead sang about how mystery makes life more interesting, that answers raise more questions, and we must accept not knowing many things. The screenwriter is debunking the nonsense for me, thanks Uhley. They interview a few people whose homes were destroyed by the monster, and many mice have been kidnapped. A poodle named Madame Mousey is a fortune teller who offers some sort of essence that will keep the monster away. I guess the writers wanted their own Scooby-Doo film. When asked why Brie does not believe in the monster she responds with, “Not unless I see it with my own eyes.” How will Uhley counter this in Land Before Time 7? “If they don’t see it with their own eyes it doesn’t exist. What limited thinking.” I now like that film even more. The show then cuts to one of Fievel’s nightmares about Yasha dying, but the problem is later scenes will feel like a fake nightmare instead of real. At the next attack Fievel and Brie find a cat’s hairball. It is then revealed that Mousey is working with cats as a Scooby-doo scam to get rich, while the cats sell the mice to other cats with a mechanical monster (big surprise as the trailers ruined that part). For “Mystery” everything is wrapped up less than thirty minutes into the film. Well Mousey is a poor villain. They repeat the same gags with her like characters pronouncing her name as “Mouse-ey,” being mistaken for a rat, or her getting very angry only to calm down before talking. At least somewhat smart green cat comes off as competent and fairly murderous making him by far the best villain. Mousey shows her dominance with a villain song. fortunately Michelle Brourman and Amanda McBroom wrote the songs, but unfortunately this is just dull, and hard to understand. She wants to remove Brie, and instead of just using the monster on her at night she leads a direct trail back to herself by telling Tony a spot, and that leads to Brie and Fievel going there. Well Tony is mad about not being assigned to reporting it (partly as he is not a reporter), and save Fievel and Brie from the monster by dropping a chandelier on it. They also find a jewel from Mousey’s collar. Tony hopes they have more chandeliers in the future, as the others note a terrible smell. This leads them to the dog park from some sort of thing to do with contacts, and five and a half minutes of screen time later they find out that Mousey is a lost poodle, which… somehow proves she is behind it. In the process they meet some dogs, and have a song, “Who Will.” Best of the movie, but way too basic in lyrics. It does however, stick out as the only song of the franchise where Tony sings. The lost dog poster means nothing until they connect the dots based on Tony’s tip coming from Mousey. The newspaper writes that she is behind it, and leaves the papers vulnerable except for the boss, Brie, and Tanya who stay late to work. Meanwhile hordes of captured mice try to escape, as for some reason they have not been sold yet. With machine broken green cat wants to rebel against Mousey (good idea), but she says she is needed to fix the machine, and she will then destroy the papers. Also Brie is talked like she is super famous, when reporters are not famous. They first kidnap Fievel’s family, despite it doing nothing to help them. Seriously if they did not then Fievel would have gone to bed, and the villains would have won. Way to ruin your own plans by being pointlessly evil. Well Tiger and Tony show up, and they decide that Tiger has to get the dogs to help, as in a surprisingly hard to follow storyline they want to catch Mousey to get her back to her owner. Meanwhile Papa needlessly angers his captures making them want to eat him. Tony and Fievel arrive, but Fievel insists the best thing to do is get Brie despite her showing no skill at quick thinking, while Fievel and Tony have. Even worse there was no need to take up that much time, because Tony then just gets everyone rescued all by himself. He does it with enough water that all of the mice should be very dead. When Fievel gets back to the newspapers Mousey, and a few cats with the machine destroy the papers and capture the late workers, but Fievel electrifies Mousey, and then a chase scene ensues. Thanks to Fievel distracting it Brie is able to destroy the monster by using the mailing tube to shoot some machine parts at it. With Fievel actually acting like Fievel he easily defeats the only serious villain, the green cat, and the dogs show up thanks to Tiger (a little late there Cavalry) finishing the cats and Mousey off. Shouldn’t the mice be worried about dogs, which kill mice being in their wall? A dull brief scene at the beach ends the film. The songs are bad, the plot is too Scooby-Doo, the mystery is not a mystery, the lesson about bravery is extremely basic, and this might be worse than The Land Before Time 13. It lacks any of its complex moral attempt and scattered but some good scenes. It has inferior humor, but it gets its major attacks on its own franchise out of the way quickly, and it is overall better acted. It also has more complexity in its plot, and it is actually pretty fun to make fun of this, so I think it is a little better. It is certainly not as bad as The Lion King 2, but certainly bad. This was a poor way for a franchise to end, and Universal Cartoon Studios quickly went back to the Land Before Time, and a new franchise, Balto.